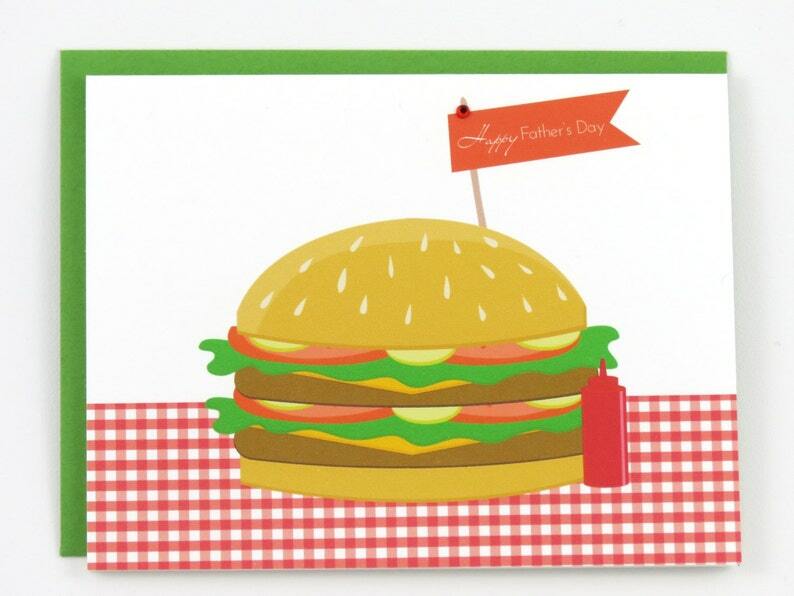 This delicious Father's Day card is perfect for the hamburger loving dad who loves to grill or enjoys eating at In-N-Out, Five Guys, Carl's Jr., Smashburger, Burger King, McDonald's or Wendy's. It also makes a cute card to pair with a gift certificate for a free burger meal! This card can be fully customized and personalized at no extra charge and also includes a free matching colored envelope, round envelope seal, and a U.S. Forever postage stamp. This colorful food Father's Day card has an illustration of a mouth watering hamburger sitting next to a red ketchup bottle. The message, "Happy Father's Day" is written on a toothpick flag holding the burger together. The card is blank on the inside and measures 4.25” x 5.5”. 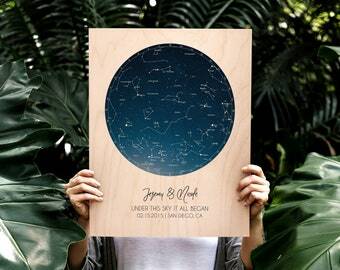 Your handcrafted, Father's Day card will be individually printed in my home studio so you can further personalize it by adding any name you wish on the back of the card as shown on the photo. 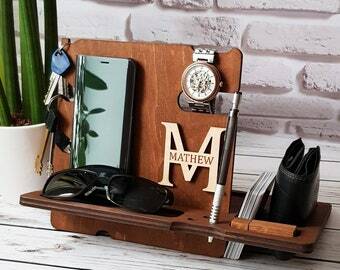 Provide the name(s) you want printed in the Notes section.